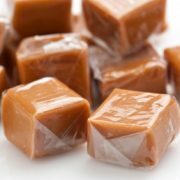 Welcome back to the final blog post in our 2 part series on best and worst food for denture wearers. If you missed part 1, you can find it here. 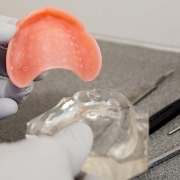 As mentioned in our previous post, modern dentures are designed to mimic natural teeth, and they do that very well. 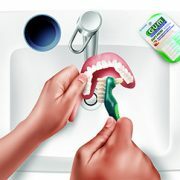 When we fit you for a set of dentures, we’ll go over a number of care tips, from how to brush your new teeth to how to properly store them when you are sleeping. We will also go over the best foods for you in detail, but we’ll offer up a sneak peek into that conversation in our blog below! Wearing dentures does mean you need to be a bit careful when eating and ordering in restaurants, but there are some foods that are perfectly fine. 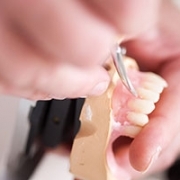 Here are some of the best foods for denture wearers everywhere. 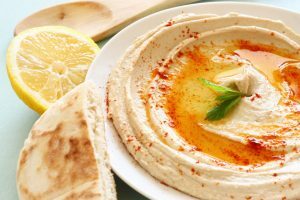 Hummus – Hummus is rich in protein, easy to spread and actually good for you. You can use hummus in salads, spread it on bread and crackers and enjoy it without worrying about your dentures. Pretzels – Pretzels are a good choice for denture wearers; just limit the amount you eat. 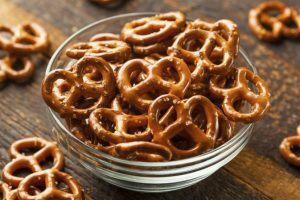 Crispy pretzel chips are a good alternative to smaller pretzel pieces, which can be hard to eat for some denture wearers. 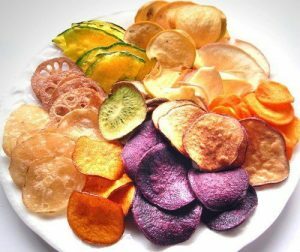 Veggie Crisps – Veggie crisps are a good alternative to popcorn and other problematic snacks. Low-fat crisps are great for your diet – and your teeth. 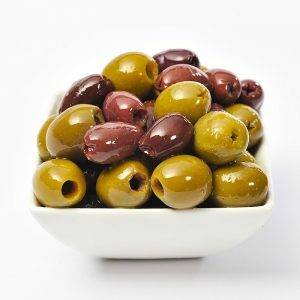 Pitted Olives – Whether you enjoy them on a salad or as a healthy snack, pitted olives are denture-friendly and delicious. 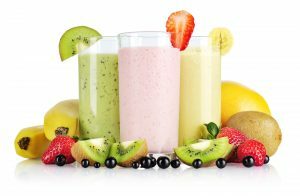 Fruit Smoothies – Fruit smoothies are great alternatives to raw fruits, which can be hard to eat when you wear dentures. Pureeing your favorite fruits gives you all the nutrients without the tough skins and rinds. Flaky Fish – A delicious piece of fish is always a good choice for dinner, even if you wear dentures. 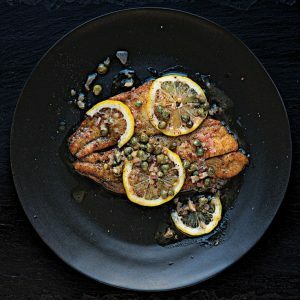 Flaky fish is a particularly good meal, easy to eat and packed with protein. 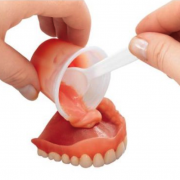 Wearing dentures can present a number of challenges, but you can still enjoy a healthy and varied diet. The guidelines listed above can help you enjoy your favorite foods without putting your oral health, or your costly new dentures, at risk. 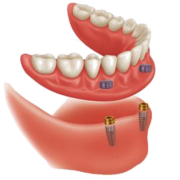 Get in touch with Conrad and our team today to learn more about Dentures!.